These fall off the bone ribs are simply delicious. Sweet, tangy and tender. They hit the spot every time! 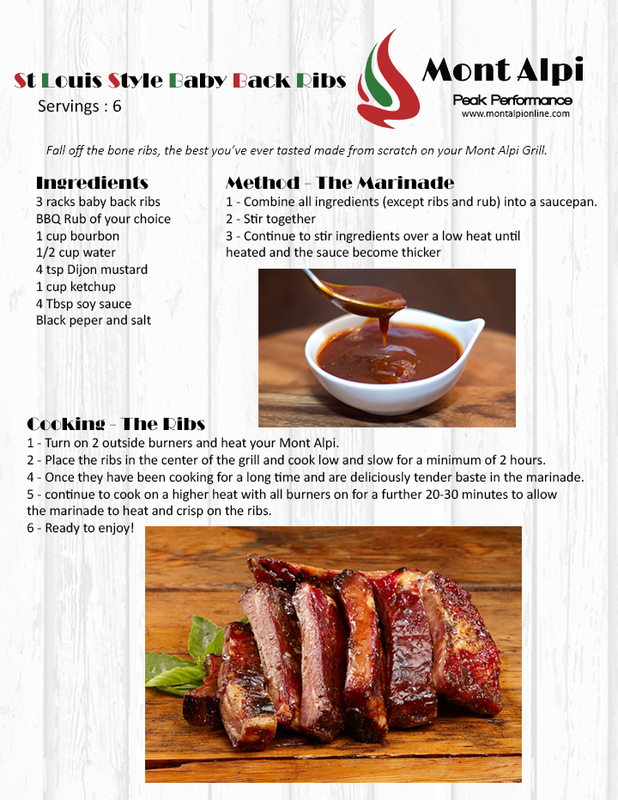 Prepare your Mont Alpi grill to indirectly cook the ribs. Turn on the outside burners and leave the middle off. Close the hood and leave the grill to heat. Rub the ribs with the BBQ rub you chose, apply generously on both sides. Once the ribs are covered in the rub place them in the center of your Mont Alpi and leave to cook low and slow for at least 2 hours. 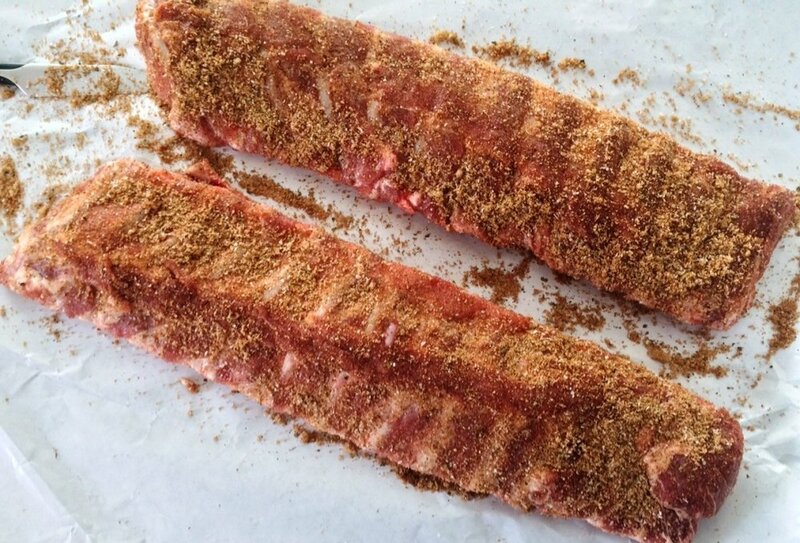 This is a longer process but worth every minute for the tender ribs you will be serving. While the ribs are cooking make the marinade. This can be done on your side burner if you have one or on the stove top inside. 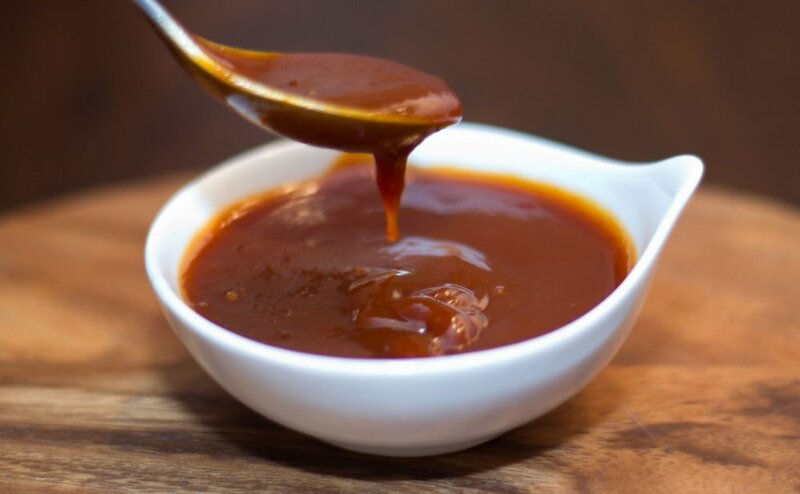 Combine all the marinade ingrediates and cook on low heat until it is combined and becomes a little thicker. 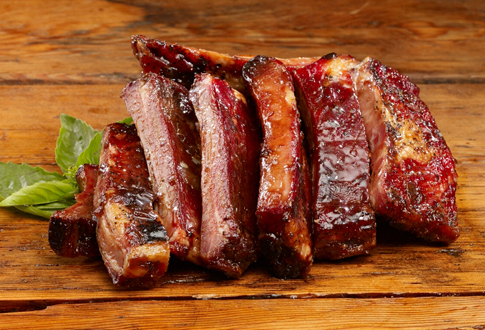 Once the ribs have been cooking for at least 2 hours baste them with the marinade you made. Cook for another 20-30 minutes to allow the marinade to heat and become crispy. You are ready to serve and enjoy!